The original Federal Reserve Board Building (now called Eccles Building) designed by Paul Cret in the modern classical style was dedicated in 1937. 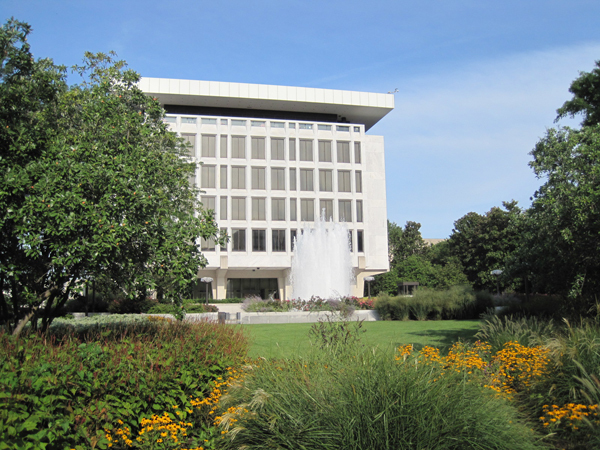 In 1974, Cret’s successor firm, Harbeson Hough Livingston and Larson (later called H2L2), was engaged to design an additional building, called the Martin Building. 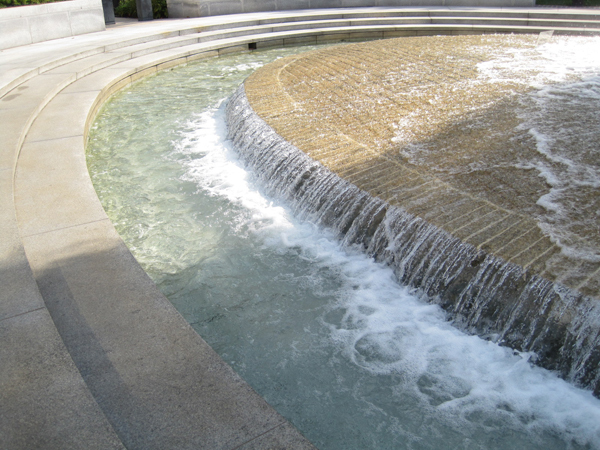 Its surrounding garden, built over the parking garage, was designed by George E. Patton. 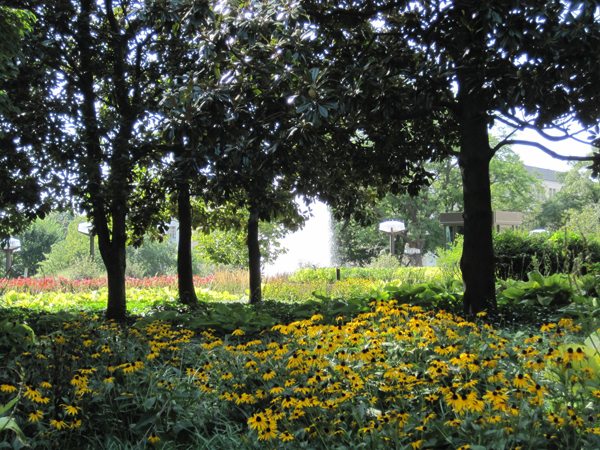 In 1977 a winter storm destroyed much of Patton’s evergreen plantings. 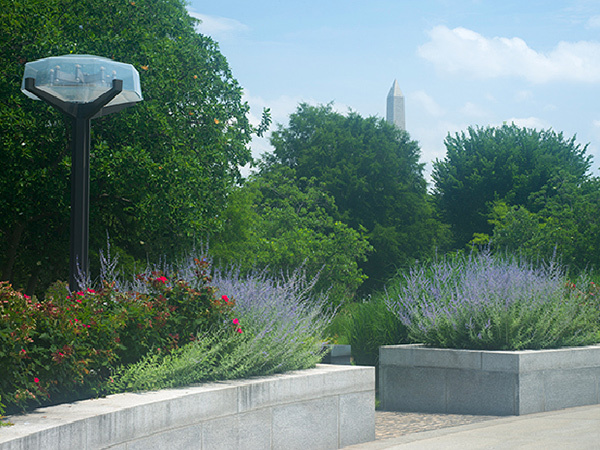 David Lilly, a Governor of the Federal Reserve, engaged James van Sweden and Wolfgang Oehme, of Oehme van Sweden, to renovate the garden and create a more useable outdoor public space. 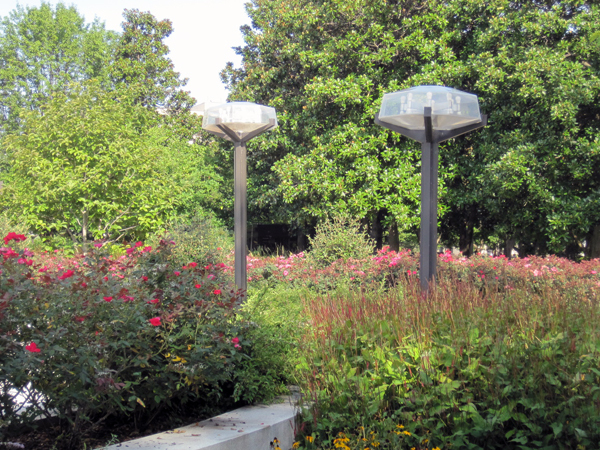 Their planting design was a symbolic change from the formal European geometry to a garden style which drew influence from America’s Great Plains heritage and the native plant palate of Karl Foerster, from Germany, and Mien Ruys, from the Netherlands. 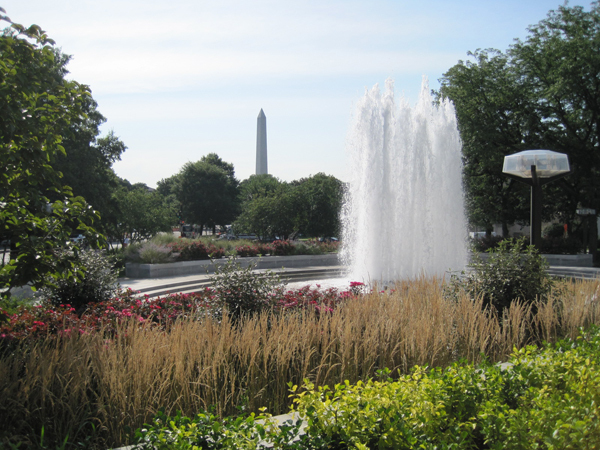 It also launched a new American garden style. 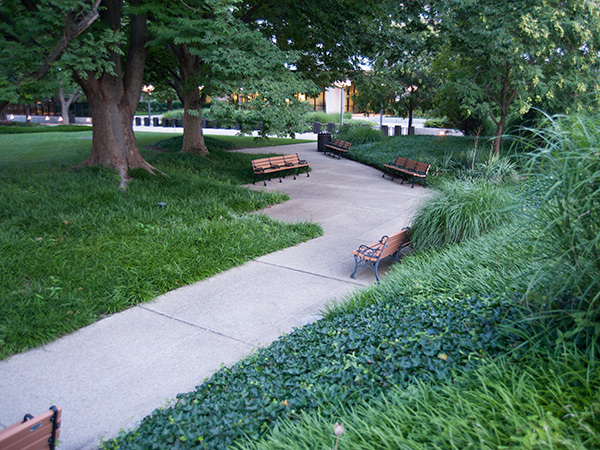 The redesign incorporated new seating sheltered by earthen berms, planted with broad masses of perennials and grasses that also channeled views in and out to the Mall. 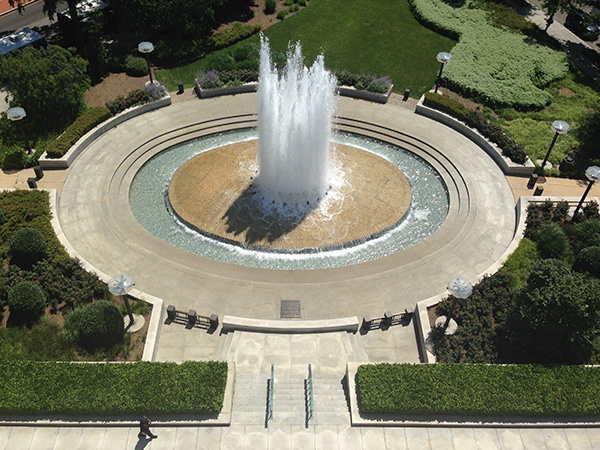 Central and side lawn panels were scaled to host rotating large-scale sculpture exhibits. 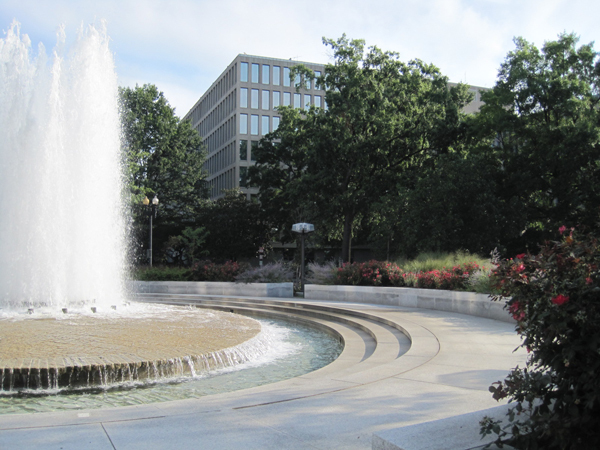 The design incorporates elements of Patton’s earlier design including a large, dramatic fountain, which animated the space; raised planters, which provided spatial variety, and site-specific, modern lighting standards.